Nyrstar’s Pt Pirie Smelter: Bill Shorten’s economic wrecking ball awaits. Australia was once an energy superpower, supporting mining, mineral processing, manufacturing and energy-intensive agriculture (think irrigators, dairies, aquaculture and horticulture). Pretty soon, if Bill Shorten’s Labor Party gets anywhere near the controls, power prices will be driven to astronomical levels and those industries driven out of existence. Hundreds of thousands of well-paid, meaningful jobs are under threat. And this from what was once called the ‘Worker’s Party’. Sure, there’s an aspect of infantile ideology driving this. 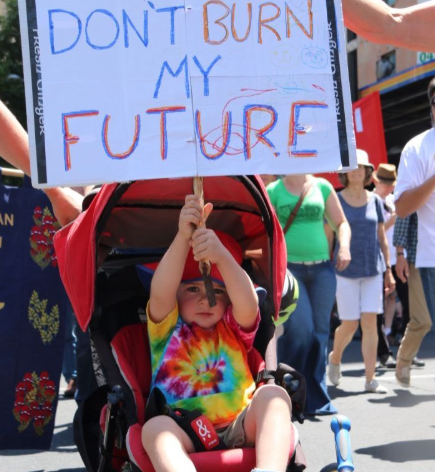 Witness the climate cult’s cynical indoctrination of four-year-old kindy kids, last week forcing them and their older siblings to march in the streets, placards in their tiny little hands. Mum says I can have my Lego back as soon as I can read it. Instead of worrying about My Little Pony and Lego, little Leopolds and Clemmies are being brainwashed about carbon dioxide gas (a naturally occurring trace gas essential for all life on earth), as if it was about to destroy the entire universe, tomorrow (the victims no doubt including Princess Celestia and Pinkie Pie). But the real driver for the ALP is the staggering amount of money to be made from the Trade Union Superannuation funds controlled by ALP members and Union hacks. Union super funds are heavily invested in the renewable energy rort in this Country. Accordingly, Bill Shorten (who operates under the direct control of the CFMEU and who has sat on super fund boards) is happy to sacrifice whole industries, thousands of businesses and hundreds of thousands of jobs in his quest to carpet Australian thousands of these things and millions of solar panels. Another case of follow the money. At the risk of sounding a little pessimistic, if the ALP takes Federal government in May next year (which the bookies are all pricing as ‘odds-on’), Australia’s economy is headed for the mother of all recessions. Power prices matter. With a 50% RET and a 45% emissions reduction target, power prices across the Country will soon catch up that those suffered in Australia’s wind and solar capital, South Australia: the place that suffers the world’s highest retail power prices, thanks to its own 50% RET and the destruction of its last coal-powered power plant last year. 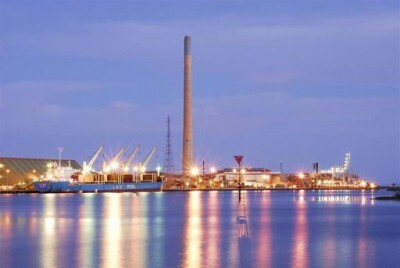 South Australia’s economy is on the ropes: manufacturing has all but disappeared; mining investors have shunned SA, preferring WA, QLD and the NT; and its last remaining heavy industries – a steel works at Whyalla and a lead/zinc smelter at Port Pirie – are in their death throes, critically dependent upon endless government handouts and subsidies. It was a Labor government that rabidly pushed wind and solar, blew up its coal-fired power plants and destroyed SA’s economy in the bargain; and it will be a Labor government pushing wind and solar that will destroy the entire Country. Here’s Judith Sloan detailing Labor’s loathing for industry, jobs and prosperity. Who knew Labor hated heavy industry this much? Last week, opposition climate change and energy spokesman Mark Butler released the dog’s breakfast that is Labor’s energy policy. I hadn’t realised how much Labor hates heavy industry and wants it rid from our shores. I was also shocked to discover how far Labor would go to impose costs on low-income folk to appease the climate change gods and support renewable energy rent-seekers. The policy mishmash is the worst of all worlds and will lead to the hasty retreat of our energy-intensive industry (aluminium, refining, fertiliser, concrete — the list goes on). 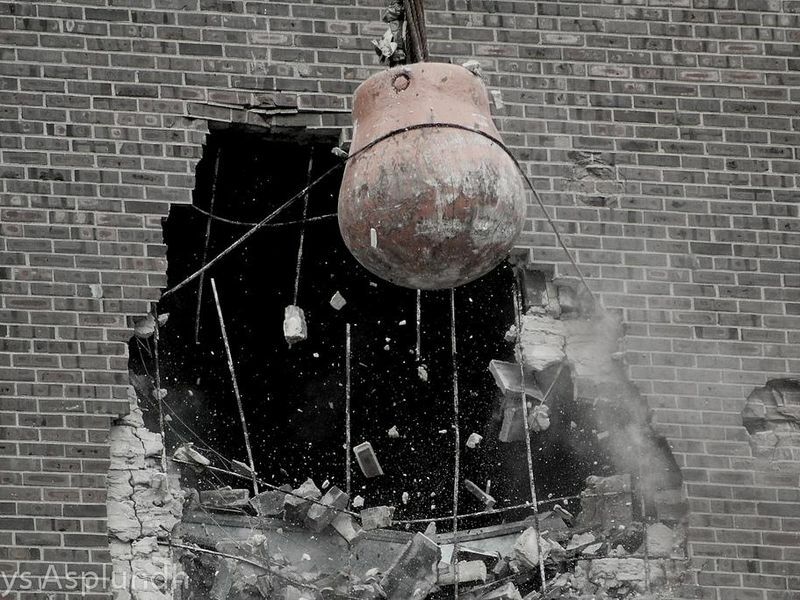 It also will punish low-income households, particularly the elderly and renters. Before outlining it all, let’s make it clear that Butler couldn’t believe his luck when the Turnbull government devised the national energy guarantee. Talk about fit for his purpose — it provided the ideal vehicle for Labor’s higher emissions target of a 45 per cent cut by 2030 relative to 2005 compared with the Coalition government’s target of 26 to 28 per cent. Arguably, this is what Malcolm Turnbull always had in mind: the target could be easily adjusted upwards within the NEG framework. Why, otherwise, would the government have gone to so much trouble when its own target easily was going to be met by the electricity sector in the early 2020s without this imposition? Pulling in lots of favours and unsurprisingly getting the renewable energy sector on board, the government was able to claim the NEG had widespread support. The self-serving business community, particularly the oligopolistic energy companies, banged on about the need for investment certainty to lend support for the NEG. But take it from me, the business groups (the Business Council of Australia, the Australian Industry Group and the like) are not to be trusted on this and other issues: they increasingly are infiltrated by naive, anti-business virtue-signallers and are dominated by ticket-clippers benefiting from more intervention. In this sense, Turnbull’s sacking as prime minister and the demise of the NEG probably didn’t suit Butler. But he still can leverage off the remnants of the policy to fashion part of his dog’s breakfast. He won’t bother to legislate the NEG but will seek to insert the higher emissions target through regulation, an action that is unlikely to be disallowed by the Senate, given its likely composition. Mind you, Butler seems to be in a deep sense of denial when it comes to the impact of greater renewable energy penetration on electricity prices. He claims prices will be lower, which clearly contradicts what has happened during the past decade: more renewable energy, double electricity prices. And what about the argument that wind and solar are now competitive with coal and other dis­patch­able forms of electricity generation? Why does Labor think it needs to use $10 billion of taxpayers’ money to throw at new renewable energy projects and another $5bn at associated transmission and distribution? Surely this tells the lie that renewable energy can stand on its own two feet. We also should expect a reinstitution by Labor of the highly damaging renewable energy target, which will be set at 50 per cent by 2030, and the associated certificates that provide a steady flow of cash to renewable energy generators. Coupled with the government picking up the tab for the required transmission and distribution, it doesn’t get much better for the sector. The alternative of allowing the RET to wind down, as is currently legislated, and the gross oversupply of renewable energy at certain times of the day is a frightening scenario for renewable energy companies. And paying to get hooked up to the grid is a pain. Note that most of the renewable energy companies are overseas owned. They also use primarily imported components for their installations. The retail part of Labor’s policy is particularly stupid and is driven entirely by politics. We know subsidies for small-scale renewable energy, mainly rooftop solar PV, are highly inefficient as measured by the cost of carbon abatement. We also know these subsidies are snaffled by the middle class at the expense of all others. But Labor thinks it can reel in votes by promising to hand out $2000 as well as concessional loans to households to install storage batteries. Of course, no one will tell those who must hand over about $10,000 of their own resources that the expected life of these batteries is probably no more than a decade and that they won’t be powering airconditioning or clothes dryers for more than a short time. Given that the payback period for household batteries is about 12 to 15 years (and often the connection service fee is inappropriately excluded from the calculation), this won’t appeal to many elderly folk, who won’t be around or will have had to move premises. There are also some serious feasibility issues around the numbers outlined in the Labor policy — an immediate rollout to 100,000 households and a million by 2025. Analysts make the point, given the size of the rollout to date and the lack of reliable installers, these figures make no sense at all. The figures are largely for show, but there is no doubt the well-heeled in the community will be the first cabs off the rank to snaffle the subsidies. But the additional batteries will make no meaningful contribution to reducing emissions. Labor’s policy will extend beyond the electricity sector and will impose restrictions on agriculture, transport and heavy industry. Across time, farmers will have their land clearing rights further limited and livestock herds will be restricted as part of agriculture’s contribution to climate change abatement. Expect a mandatory clampdown on the emissions standards that apply to cars and trucks, a possible climate tax on petrol and diesel (as in France) and significant subsidies to electric vehicles. Heavy industry will be expected to reduce emissions or pay for climate abatement credits. This will probably be achieved through an extension of the “safeguards mechanism”. Such action will render many factories uncompetitive, given the absence of these imposts in most other countries. In the past, Labor would have been highly supportive of manufacturing and minerals processing, whose factories provide high-paid jobs for unionised workers. These days, Labor would prefer to curry favour with inner-city voters working in the public sector or undertaking BS jobs in the services industry than worry about the comrades working in factories. Butler is too smart to fail to realise the risks in Labor’s policy. Secretly, he hopes Energy Minister Angus Taylor will be able to nail down some new dispatchable sources of electricity generation that Labor will go along with, although probably not a coal-fired plant. Labor’s energy policy is an untested potpourri, the economic and personal consequences of which will be felt across time. In all likelihood, the measures will hasten the retirement of existing fossil fuel generators, leading to future price hikes and the elimination of heavy industry. That’s the Labor way these days, even if it won’t make a jot of difference to global temperatures. Just ask the Chief Scientist. The rumour is that the management at Port Pirie’s Nyrstar have trouble running a bath, let alone a sophisticated industrial complex. Power prices as a result of Jay and Koutis love affair with ‘wind’ are simply the nail in their (lead) coffin.